"If You're One Of The Few Network Marketers Left Who's Still Making Names Lists And Cold Calling Dead-Beat Opportunity Leads... How Do You Plan To Keep Up With Those Who Have Learned How To Get Hundreds - Even Thousands - Of Pre-Sold Prospects To Come To Them (Without Having To Spend Hours On The Phone Or Attend Even A Single Hotel Meeting)?" ... And Why The Traditional Out-Dated Methods Are Literally Self-Sabotaging Your Success. My name's Ann Sieg and I've been in and out of the mlm industry for over 19 years now. I've joined and tried to build more opportunities than I care to remember. "Growing List Of Leads That I Have For My Primary Business!" 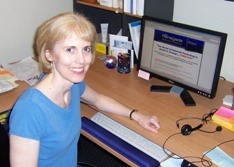 "Hi Ann, I just wanted to drop you a quick note to update you on the results that I am experiencing with The Renegade System. "I Have Created More Income With My Home Businesses Than I Had In Over The Previous 3 Years"
Can you imagine what your business and your income would look like if you were bringing in 20... 10... 5... even just one new business-builder a month? And if your organization was doing the same thing? But before we go any further, here's the thing to remember: I can say all I want about this system... but it really doesn't matter does it? When push comes to shove, the only thing that really, truly matters is what other people have to say about it. Other people who have paid money and gone through this material themselves. That's why I encourage you to read and listen to all the testimonials throughout this letter from fellow network marketers (from many different companies) who have learned the principles contained inside this system and are seeing dramatic results in their business because of them. Why a business opportunity is... literally... the last thing you want to sell your prospects! No joke. I know that makes no sense at all, but one of the best kept secrets of this industry is that the people who really make obscene incomes in mlm DON'T push opportunities (and yet... this is the easiest and fastest way to build your organization!). The "uncomfortable" truth about why it's almost mathematically impossible for the average distributor to grow their business and turn a profit fast enough by using the traditional methods... AND... how a simple change in your focus can have you immediately generating all the upfront cash you need to fund massive growth. How to make money from all the people who said "no" to your opportunity. (This ensures that you get paid for your prospecting efforts regardless of whether you sponsor someone or not.) By doing this, you'll explode the size of your organization 10x faster than you'd normally be able to. "In The 6 Months After I Began Using It I Had 364 New Downline Members Join"
How Network Marketing Is Done Online!" 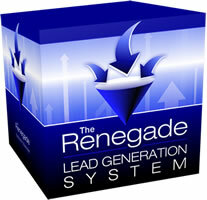 "I Generated More Leads Than I Had In 6 Months Using Other Methods"
"I began using techniques from The Renegade Network Marketer Jan 1, 2008. From the first 2 weeks ads, I generated more leads than I had in 6 months using other methods. As my business grows, I do plan on incorporating more techniques Ann has given me. Her system just makes sense, and works!" "I Was Able To Create 2,495 Leads And $8,093.60 In Income"
"Several Growing Income Streams From Network Marketing"
"Coming across Ann Sieg's website helped me tremendously. In fact, if not for Ann, I would have quit a long time ago. Now I run my own consulting business and have several growing income streams from network marketing and affiliate marketing." "Teaches Me Everything I had To Get From Other Sources Here And There Piecemeal!" 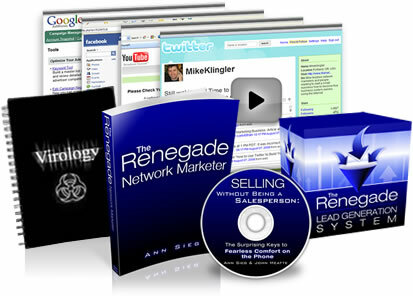 "Within 45 minutes of reading The Renegade Network Marketing book I realized Ann had just summed up the last six months of struggle that I have had learning how to do what she had just put together in one place. I have spent 6 months and $25,000 learning how to be an internet marketer, and here comes Ann for $67 and teaches me everything I had to get from other sources here and there piecemeal." One of the most important aspects of The Renegade System is learning how to get into positive cashflow immediately... rather than waiting 6 months or more for that elusive "residual" income we all dream about. And... here's a screenshot from my Microsoft Outlook account showing just a few dozen people (out of thousands) who have literally paid me to prospect them! You'll find out exactly how to do this because if you order The Renegade System today you'll also get unlimited access to The Renegade Network Marketer Backend Lead Generation and Training System... completely FREE! "I Have Achieved My Dream To Be The First Balneotherapy Spa In The Nation"
"Ann is the best guide on the Internet to get any network marketer on the right track to have a serious network marketing business. "Far And Away The Best Investment I have Ever Made!" "This is the best purchase I have ever made, and it is worth FAR MORE than you charged! I expect to reread the book over and over and over again. Nothing before has given me such a clear picture of what MLM is all about. I have spent a fortune on materials, and this is, far and away, the best investment I have ever made." If this is not the most straight-forward and valuable information you've ever seen, heard or read on network marketing... or if my strategies don't help you get the results you want for your business within 90 days... please, let me know so I can immediately buy it back from you. If this material doesn't absolutely blow your mind and show you a side of this business you never knew existed, I don't want your money. Ann, I want to begin attracting people to me and finally start building the business I've always wanted! Please give me instant access to the entire Renegade System right away! 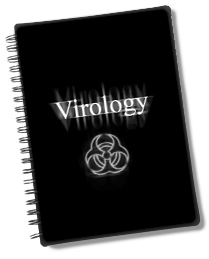 Your system 100% guaranteed. If I'm not satisfied or don't begin to see real results within 90 days, I can ask for a complete hassle-free refund. No questions asked. Once you're exposed to this material... unless you somehow lose your entire memory... it would be impossible for you to ever be an "ordinary" network marketer again. And after you implement just a few of these strategies, it'll be like your cell phone, your car or email: You'll wonder how you ever survived without them. PS: Remember, you've got a full 90 days to try everything out - completely risk-free. If you're not happy with anything in any way, you won't be out a penny.